Caption slip reads: "Photographer: Paegel. Date: February 14. Reporter: Kay Waymire. Assignment: Saint Paul's. Special instructions: Sunday. 9-10: Interior of Saint Paul's. 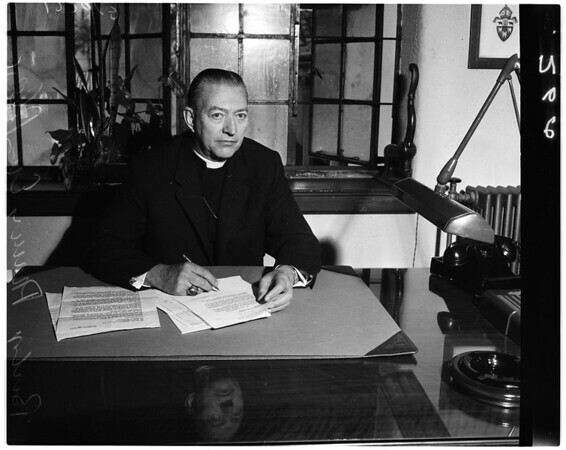 25-26: Bishop Francis Eric Bloy. 21-22: Dean Scovil".